That?s When Your Heartaches Begin - take 1 / It Is No Secret - take 5 / Blueberry Hill ? take 3 / Have I Told You Lately That I Love You - takes 6,7 / Is It So Strange - takes 8-9 / Loving You (main title version) - take 6 / Loving You (main title version) ? take 12 / Treat Me Nice (1st version) ? 2003 takes 1,2,3 / Young And Beautiful ? 2004 take 6 / I Want To Be Free ? 2009 take 11 / Don?t Leave Me Now - 2017 take 7,8. » Foire aux livres d'Amnesty. » Mon présentoir fait maison pour vous présenter mes livres!!! 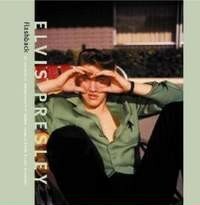 ELVIS ET JOHNNY :: FORUM D'ELVIS PRESLEY NE 8 JANVIER 1935 :: CD BMG/RCA , FTD & Autres !!! !